It takes just 15 minutes to get an unclogged, purified complexion! 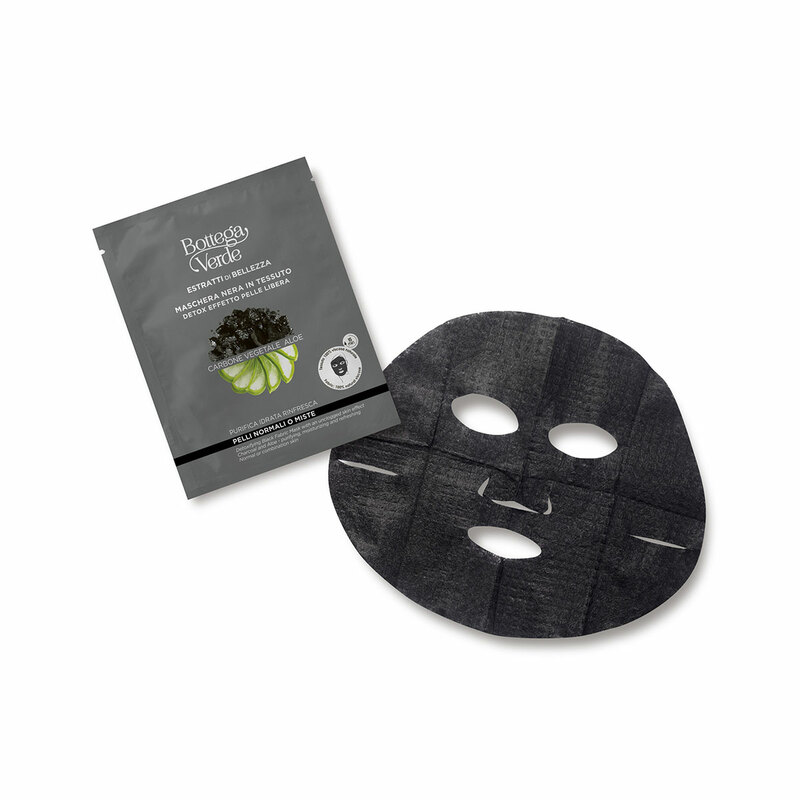 This instant action mask is made of 100% plant fabric. It is enriched with Charcoal with absorbing, detoxifying power and Aloe juice with a moisturizing and refreshing effect. Once it is spread out on your face, it enhances the beauty of your skin and revitalizes its natural radiance. Instant action mask made of 100% plant fabric. Enriched with Charcoal with absorbing, detoxifying power and Aloe juice with a moisturizing and refreshing effect. Direction for use:How to use it: spread out the mask and place it on your face . Make sure that the mask adheres properly, following the contours of your face. Leave it in place for 15 minutes . Remove the mask and massage delicately. Remove any excess product with a cotton pad . Suggestions:People with normal or combination skin. Texture:100% natural viscose fabric mask.